ORANGE BEACH, ALABAMA: They say it's the simple things in life that are best, and we here at TripShock could not agree more! 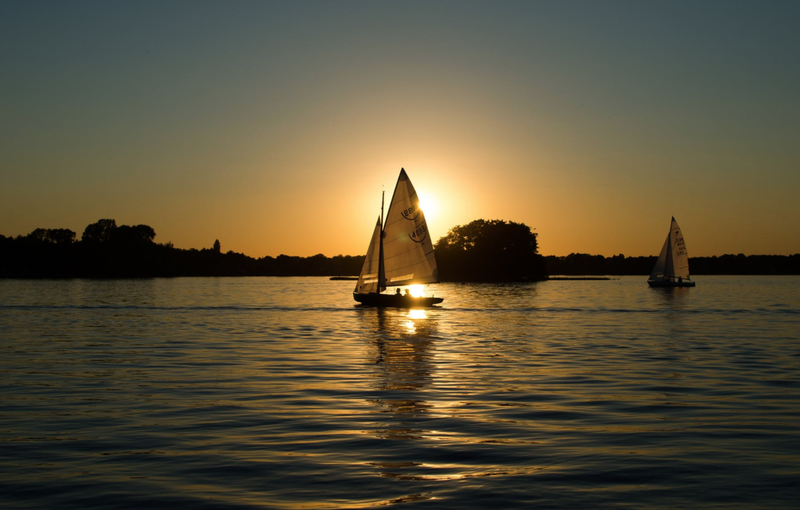 When it comes to beach vacations, there are few more incredible activities than relaxing on a boat while the sun sets and seeing dolphins jump and frolic in the waves. If this sounds like something that you would be into then stop what you're doing (unless you're reading this article) and get on down to the Alabama coast! Orange Beach is one destination in particular that offers some of the best dolphin cruises and experience you will find anywhere! 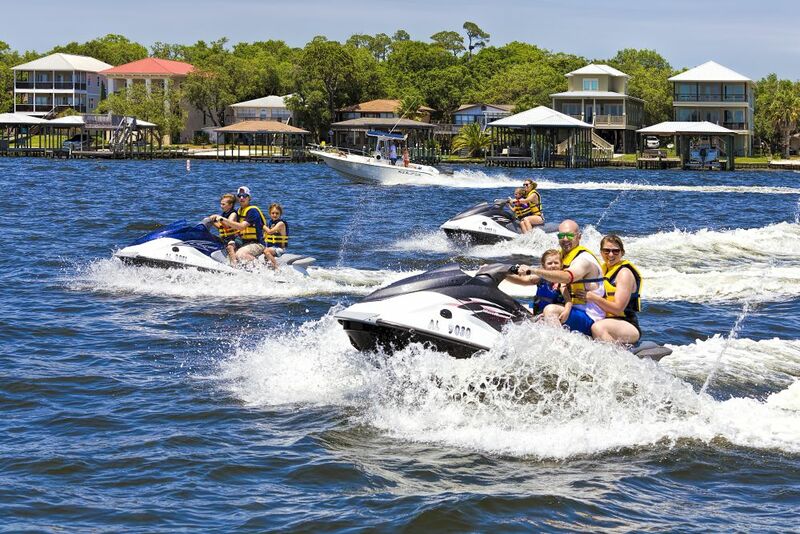 Check out a long list of incredible tours & things to do in Orange Beach and supercharge your next trip down to Southern Alabama with some super savings from TripShock! Orange Beach dolphin cruises come in all shapes, speeds, and sizes! Cruise in luxury aboard one of several ocean vessels including classic charter rigs, super fast jet boats, or small and intimate sail boats! No matter which tour you choose, you will be delighted by the abundance of bottlenose dolphins swimming alongside you and your shipmates as you crash through the waves. If you are traveling with a large group or with small children, we recommend booking the standard charter. More extreme travelers, meanwhile, should definitely check out the speed boat. Finally, sailing excursions are perfect for couples and families. Choose one or, even better, why not all three? 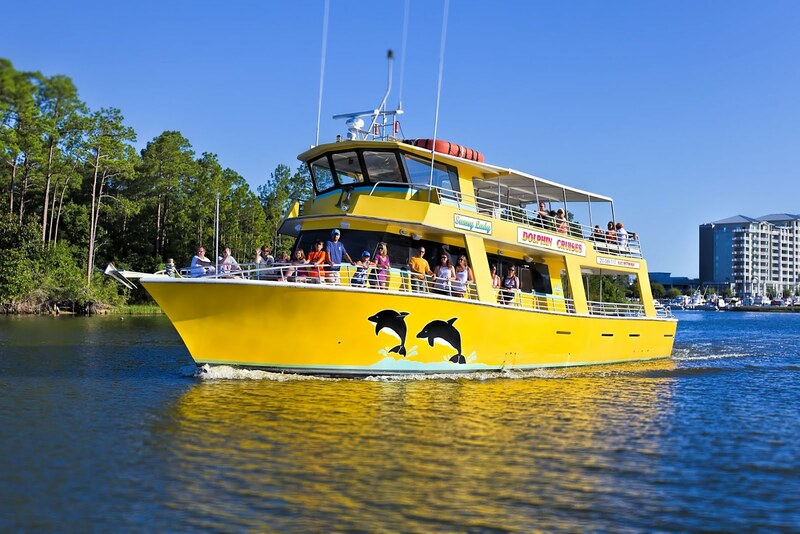 Get the best deals on the best Orange Beach dolphin cruises anywhere when you book online with TripShock! One of the absolute coolest ways to see dolphins in Orange Beach is on a waverunner. Get up close and personal with these incredible marine mammals on one of several action-packed jet ski dolphin adventures. Never a dull moment, these zippy, agile watercrafts are incredibly popular for good reason. What we love about waverunner dolphin tours is that not only are you close to the water and the dolphins, but they also travel smaller groups meaning greater personal attention, education, and also perfect for traveling families! Extreme and extremely fun! Save big on Orange Beach waverunner dolphin tours online! Literally swimming with dolphins. Oh. My. Goodness. There's no better way to do it! 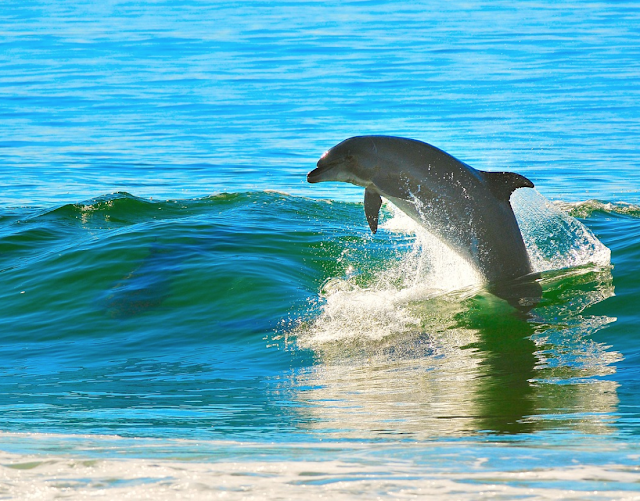 With some skill and a little luck, you can swim with the dolphins out in the surf. A safe, effective way to do so is with a kayak or paddleboard rental. Some of the best places to see dolphins in Orange Beach is in Perdido and Wolf Bays. Not only are the waters generally more friendly, but you are also better able to spot dolphin fins and splashes without the massive waves that you will find out on the beach beyond the wake. An extreme activity, and definitely not one for the faint of heart, take Dori's advice and "just keep swimming!" And if you don't know who Dori is... well, then you're definitely missing out! Book your Stand Up Paddle Board rentals right here, right now and get out there in the surf! We're not sure what's more amazing: a spectrum of colors cast upon an endless ocean or socially advanced dolphin pods dancing alongside the boat for your viewing pleasure. One of those spectacular simple things, an ocean sunset is one classic example of Mother Nature doing things up right. Relax and enjoy the horizon as you float gently at dusk in search of bottlenose dolphins. An ideal way to wind down for the day or to perk up following an afternoon nap on the beach, you absolutely cannot go wrong! Punch your Orange Beach sunset cruise ticket with TripShock today! Eat, drink, play, and see dolphins in Orange Beach from the shoreline of the famous Orange Beach Islands! Located in the Perdido Pass, Bird Island, Robinson Island, Gilchrist Island, and Walker Island are tight knit group of islands with sweet displays of regional wildlife. 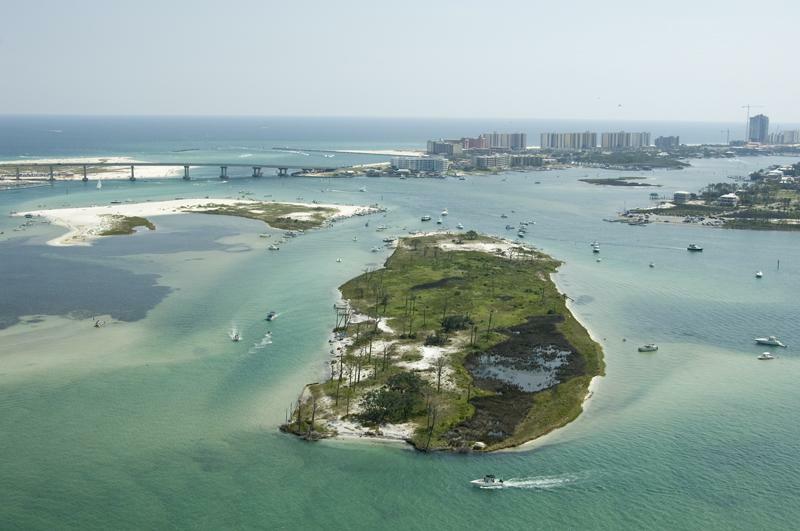 Also incredibly popular for boating, snorkeling, and socializing, head on out to the Orange Beach Islands for a whale of a good time (not a dolphin joke, but still funny) in beautiful Southern Alabama. Read up on Orange Beach, including weather, community amenities, and learn about great travel tips with our official Gulf Shores-Orange Beach visitor's guide! In sum, Orange Beach, AL, offers a multitude of ways to see dolphins in the wild. The best way to see dolphins is on an Orange Beach dolphin cruise--without a doubt. But with a little info and a little luck, you can catch a glimpse from your beachside hotel or from the docks. Step one is to catch them at either sunrise or sunset when water traffic is low. Also, if you don't have access to a boat, you are more likely to see dolphins in the Perdido Bay than in the Gulf of Mexico. This is because one, the waters are more calm and therefore offer better visibility and two, the dolphins come closer to the docks than the seashore. Now get out there and find yourself a Flipper!